Danielle relaxing on a sofa reupholstered in her own Queeny Brass design. We’ve still got decorating on the brain here at the new Spoonflower office, and just accepted delivery of some beautifully reupholstered furniture all done up in Spoonflower fabrics, of course, by Chad’s very skilled uncle. 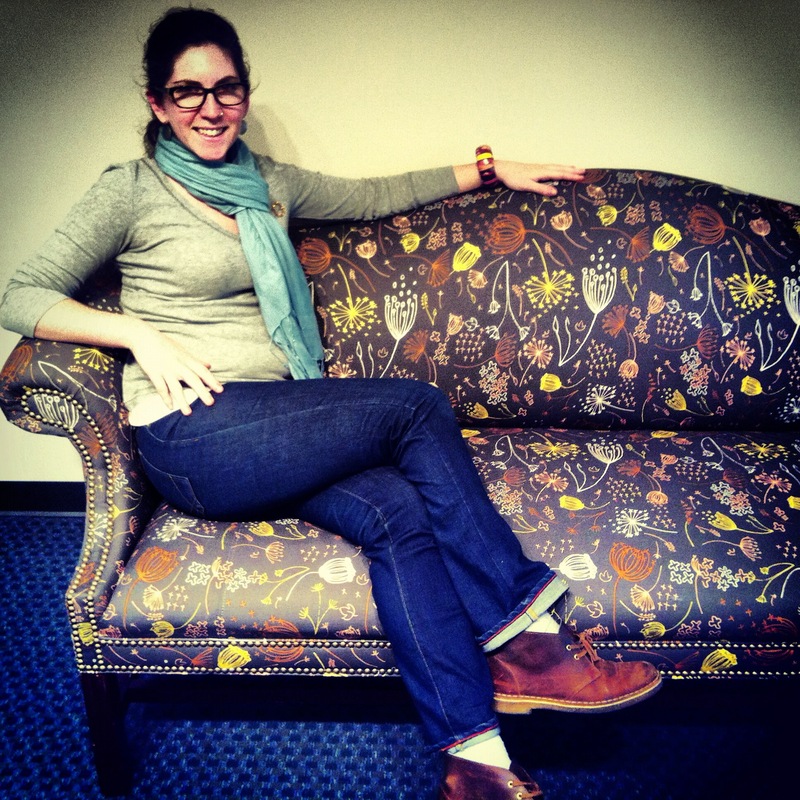 Those of you who have been with Spoonflower for awhile may recognize Danielle’s Queeny Brass fabric above as the winner of the Spoonflower staff contest way back in February of 2011.